Christmas Special Hidden Objects info about the game-Games2Rule. Christmas Special-Hidden Objects is another type of hidden spot game developed by Hiddenogames.com. 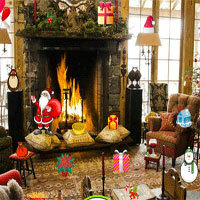 In this game you have to find hidden objects in these Christmas Special pictures. Your hints for the objects are given above of the game. For your every right click you will get 100 points and for every wrong click you will lose your 20 second from your game time. Good Luck Have Fun!